The new feedback system will allow a “follower” robot to take over as the “leader” robot if the original leader has a system or mechanical failure. Without this, the follower wouldn’t have a path to follow and the task would fail. 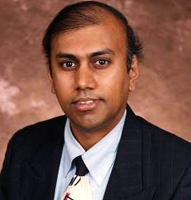 “Imagine you have one operator in an office controlling 10 bulldozers remotely,” said Sarangapani, the William A Rutledge – Emerson Electric Co Distinguished Professor in Electrical Engineering at S&T. “In the event that the lead one suffers a mechanical problem, this hardware allows the work to continue,” said Sarangapani. “The end goal is to push robotics to the next level,” said Sarangapani. “I want robots to think for themselves, to learn, adapt and use active critique to work unsupervised. A self-aware robot will eventually be here, it is just a matter of time, he said.